The Challengers Men’s Basketball season came to an end with a heartbreaking upset loss to Sinclair Community College in the first round of the OCCAC Conference Tournament. The team ended the year in fourth place due largely to contributions from one of their star players, former Shaker Heights Red Raider, Robert Fomby. After sitting out last season due to academic reasons, Robert came out of nowhere to lead the team in points, rebounds, and shooting percentage. Coach Michael Duncan said, “He surpassed my expectations, especially in the second semester.” Fomby was great all year but he turned it up a notch once conference play began. He was among the conference leaders in many statistical categories. Fomby ranked #1 in the OCCAC in Rebounds and Points Per 40 mins, while also coming in 2nd place in 3-point pct. Fomby did it all for the Challengers this season as he was a key piece to the team’s success. When asked about his leadership, Coach Duncan said “He tries to lead with his play; He’s not really a verbal leader.” Fomby was not outspoken but he filled his role on the team and it impacted everyone else around him. Robert was able to earn respect from his teammates this year. Freshman guard Isaiah Bennett said “Fomby plays like a man among boys.” Bennett also said “He has the heart, he wants it more sometimes, than others” When he is not playing basketball, Robert is a laid back person. He has an upbeat attitude and according to the people close to him he is always trying to make someone laugh. Robert has a young daughter that he cares greatly for and keeps him busy when he is not in school or on the basketball court. Fomby finished third in voting for the OCCAC Conference MVP. He was chosen as first-team in the conference. 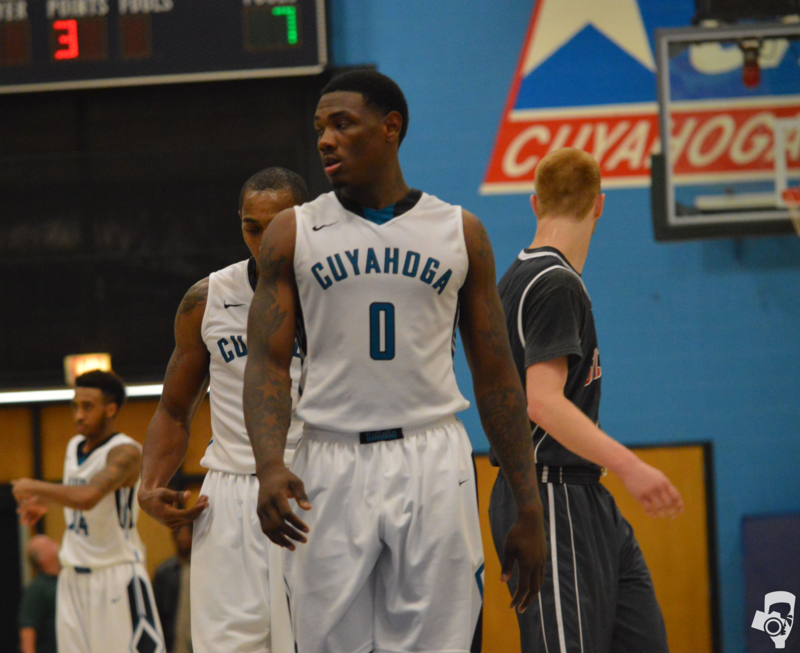 This was the sophomore’s final season at Tri-C. Robert would like to continue to the next level of basketball by transferring to a four year university but has no plans currently in place. Coach Duncan expressed some concern about Robert’s academics, but he is convinced that if Robert can stay focused that he has the ability to make it at the next level. He said “I think he could come in right away and be an impact player.” Whether or not, he continues his basketball career, the 2014-2015 season was a year to remember for Robert Fomby as well as Tri-C fans.